Las Vegas is full of amazing attractions that you wouldn’t usually see in many other places in the world. One of these attractions is the Aventuredome. The Aventuredome, which is one of the world's largest indoor amusement parks, is located in the Circus Circus Hotel. There are rollercoasters, mini golf, wall-climbing and more. In total there are twenty-five different rides that can entertain visitors for several hours. In addition to this, there is also other entertainment in the form of clown shows and games stalls. The Aventuredome is really fascinating and even if you don’t fancy going for the various attractions then the actual construction of the indoor amusement park is well worth a visit. As a little extra, this is actually one of the few amusement parks that you can visit without having to keep a constant eye on the weather forecast for days before. Riding the CityCenter Tram between the city's various casinos is something you should not forget to do while in Las Vegas. The CityCenter Tram is a train track that travels between some of Las Vegas' largest casinos and can be perfect to take if you want to get a free ride to different parts of the city. The means of transport is an awesome experience and one can sit and watch the pulsating city of Las Vegas from the peace and quiet of the carriages. It’s important to remember to check that the sites you want to visit are located in the vicinity of a casino where the CityCenter Tram stops. Failure to do so means taking the risk that you’ll have to go a long distance or take the taxi to the place you plan to visit, perhaps in the end both will be more expensive and take longer than if you had taken a taxi in the first place. 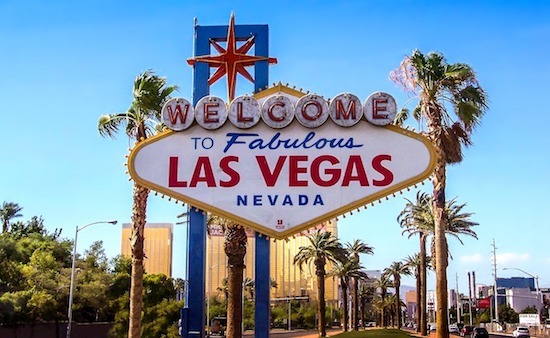 Las Vegas can quickly become very intense and it can be nice to leave the city and take a trip to the sights that are a bit outside the city centre. One of the attractions outside Las Vegas is The Hoover Dam (Hoverdammen). The Hoover Dam is a large dam power plant between the states of Nevada and Arizona which stops the flow of water in the Colorado River. The dam was completed in 1936 after about five years of construction and was named after then-President Herbert Hoover. The entire building is considered one of the 1900s’ top ten designs and over the years has been of great importance for Las Vegas’ electricity supply and growth. On a visit there is the opportunity to take guided tours and go around to see the different parts of the plant. The Hoover Dam is located in Black Canyon which is just minutes from the centre of Las Vegas. Whether you're a car buff or not, a visit to the Auto Collections in the LINQ Hotel & Casino to be a pleasant experience. It has an area of over 10,000 square metres with delicious and well-polished classic cars of yesteryear. In fact, it’s the world's overthrow showroom for classic cars and there are more than two hundred and fifty antique cars in the collection. In principle, all the historical motor vehicles on display are for sale and the total for these cars is almost a quarter of a billion. If you have a great interest in cars and also a big wallet, it might be a good idea to go for it. But if you lack the latter, you’ll have to settle like most others do and go here just to see. A few hours’ drive east of Las Vegas is the large and very special Grand Canyon National Park. The Grand Canyon is an eroded desert landscape with amazing rock and cliff formations and is one of America's premier attractions, which annually attract millions of visitors. If you are in Las Vegas for a few days and have time, heading over to the Grand Canyon is really something that should be high on your "To Do” list. To discover and explore the Grand Canyon, there are several options with everything from buses to helicopter tours. One of the sightseeing tours that's very popular among previous Las Vegas visitors is Red Electric Bike Tours. With Red Electric Bike Tours, you get the opportunity for a few hours to tour the Grand Canyon on electric bicycles and explore the national park under the open sky. Throughout the tour you’ll travel with the knowledgeable guides who share information and answer questions about the Grand Canyon. To go out with Red Electric Bike Tours cost about $100 and the package includes all the costs of the Grand Canyon park fees, water and safety equipment. To go sightseeing with Red Electric Bike Tours is an exciting and different experience that most likely will never be forgotten. Stratosphere Las Vegas is a large complex with a casino, hotel and observation tower. Above all, the tower is extra special as it's over 350 metres tall and by far the tallest building in Las Vegas. Going up this tower is a cool experience that provides an opportunity to look out over Las Vegas and the vast desert landscape that stretches around the city. At the top of the tower is also an amusement park with mountain and valley trail, "free fall" tower and a number of other rides. In addition to the small amusement park, there are, among other things, a restaurant and the opportunity to do "bungee jumping" from the tower. To go up the tower costs about $15. In addition to all the casinos, great hotels, cool sights and experiences, in Las Vegas there are also good opportunities for large-scale shopping. Around the city there are lots of outlets selling branded products at substantially reduced prices. Most outlets are located a little way outside the city centre and it may therefore be necessary to take a taxi or rent a car to get there easily. Possibly the three best outlet areas are Las Vegas Premium Outlets South, North Las Vegas Premium Outlets and Fashion Outlets of Las Vegas. South Las Vegas Premium Outlets is located just south of downtown and the Las Vegas Premium Outlets North is north of downtown. Fashion Outlets of Las Vegas is however a little further bit south of the city (about forty minutes by car). What all three outlets have in common is that they offer really good prices with up to sixty-five percent off clothing and fashion products from well known brands such as Adidas, Calvin Klein, DKNY, Michael Kors, Nike, Polo Ralph Lauren, Reebok, Timberland and Tommy Hilfiger.